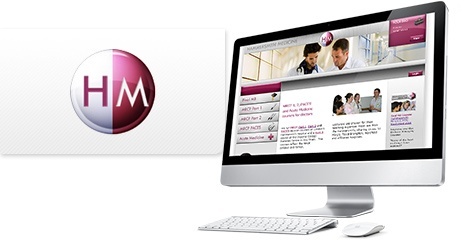 Hammersmith Medicine approached us in need of an upgraded website with the facility to book their courses online. What we produced for them was a clinical design with a clean light appearance that meets the targeted user’s requirements. 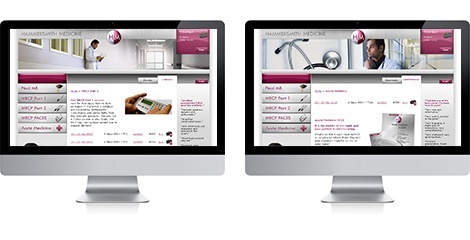 With the ability to add and remove courses with full details for post launch self maintenance and a content management system that allows Hammersmith Medicine to change the appearance of their site. These powerful tools allow Hammersmith Medicine great flexibility in dealing with their user’s needs. Since the site, complete with it’s booking system has been live, all of Hammersmith Medicine’s training courses have been full. Also the hits to the site can be tracked through the traffic reporting interface we provided them with. This proves the power of eCommerce additions to an organisation’s online presence.